To manually measure your heart rate, you stop working out, check your pulse at your wrist and count the number of beats you feel within 10 seconds, according to Livestrong.com. After that, you have to multiple the number by six to determine your heart rate. It seems simple, but can you ensure it’s accurate? Using a heart rate monitor will do the job for you. It can deliver concise information during your workout, unlike the manual option that makes you stop, count your beats and do the math. 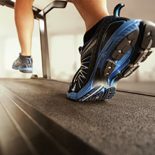 Breaking the momentum in your exercise is one way to lose ambition and drop off your workout early. If you need help staying motivated during your workout, a heart rate monitor is key. As The Huffington Post stated, this tool can be just as encouraging as a personal trainer. The target rate you receive will signify when you need to push harder, slow down and keep a steady pace throughout the exercise. Essentially, the data from your monitor can inspire you reach for your goals, and it’ll keep you safe throughout your regimen. As you know, giving your muscles time to recover after a workout is key to maximizing your results. Your heart is a very important muscle that also needs time to adjust after strenuous exercise, especially during high intensity interval training. A monitor will show you how well your heart recovers, which also determines the wellness of your cardiovascular system. The faster your heart can bounce back, the better shape you’re in. As stated by the American Heart Association, you should be working at your target heart rate – which is 50 percent to 85 of your maximum heart rate – in order to get the most out of your workout. With a heart rate monitor, you’ll always know if you’re hitting that number, which allows you to complete the most effective workout possible. Stop pushing yourself too hard without understanding the condition of your cardiovascular system. Maximize your results with this essential workout tool. Remember: Using a heart rate monitor can help maximize your results and increase your safety, but staying fully hydrated is also crucial. Do your best to ensure you always bring a full water bottle to the fitness center alongside your tech savvy accessory. At Steel Fitness Riverport, we encourage our members to utilize our MYzone chest strap heart rate monitors. By using one during your visit, you’ll receive real-time accurate numbers so you can have a safe and effective workout. If you want to test out the fitness tracker for yourself, head in today and use one during a Pulse X class.